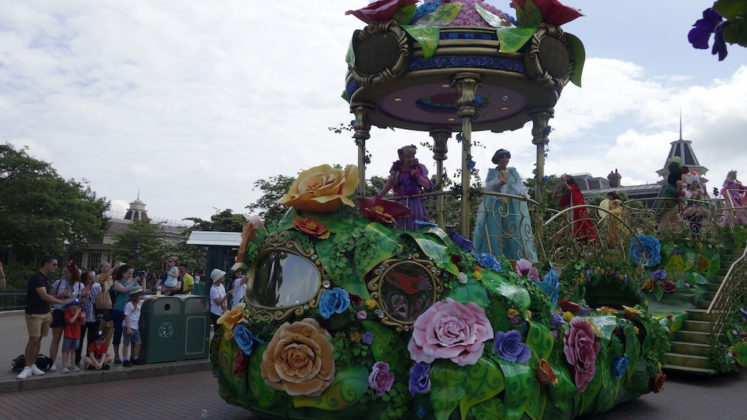 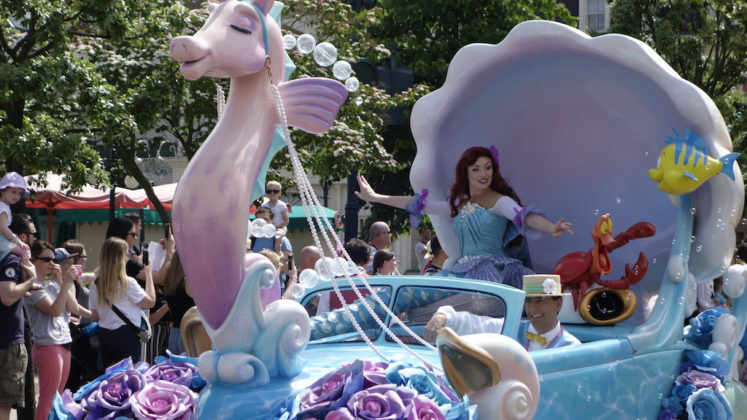 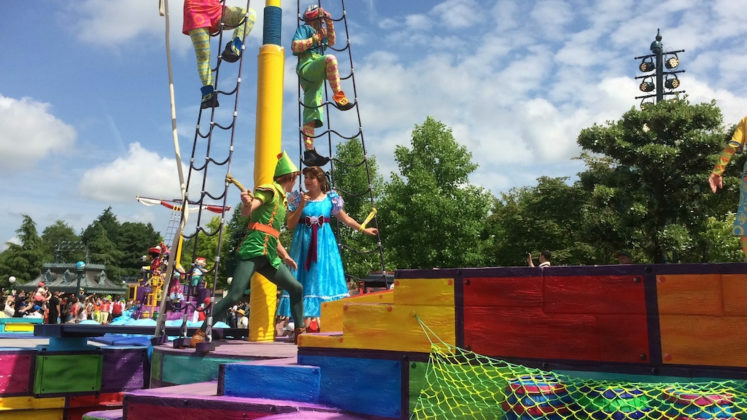 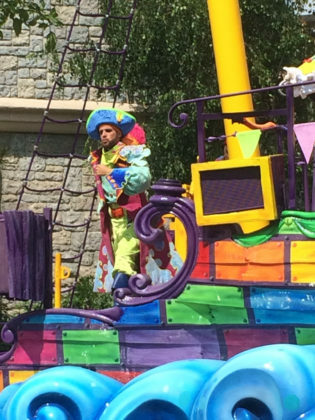 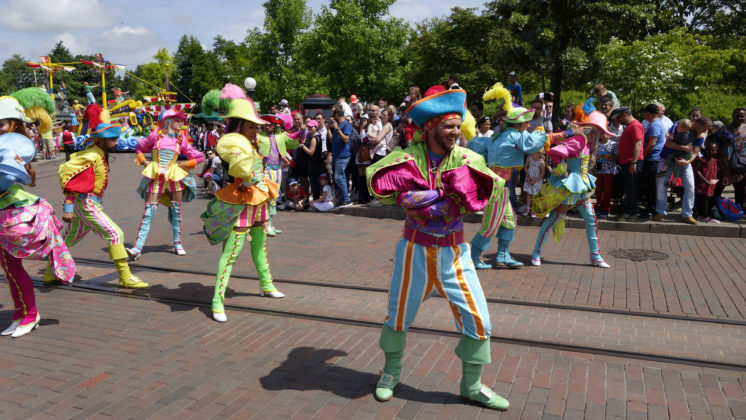 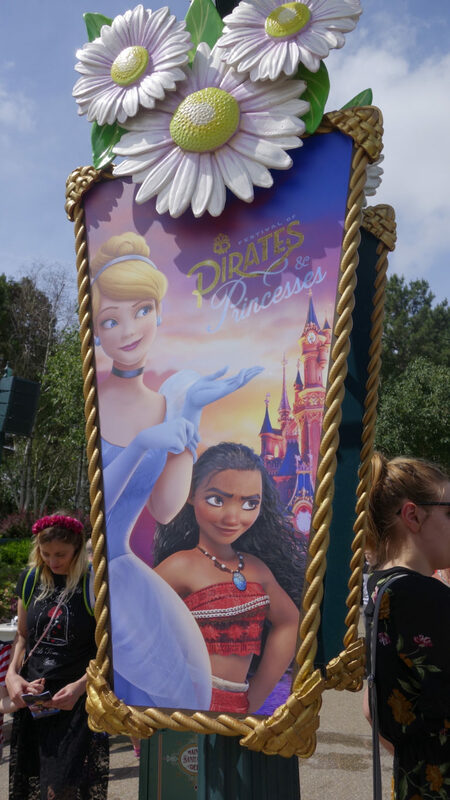 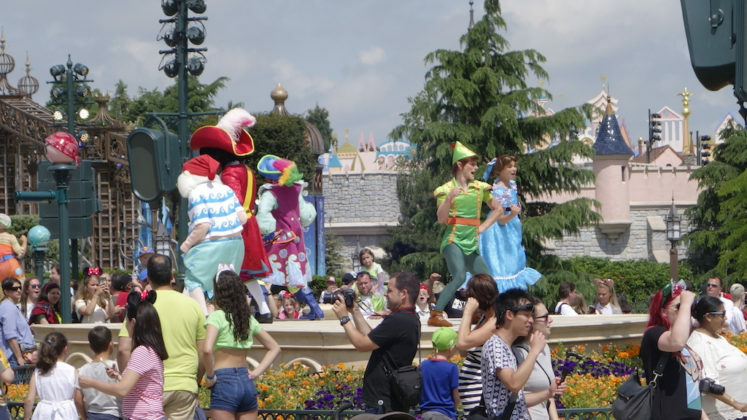 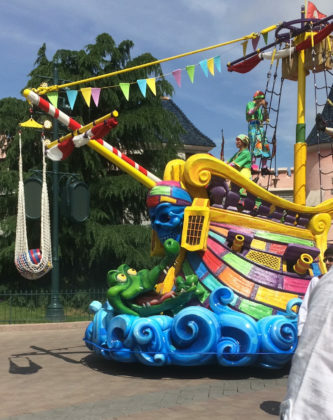 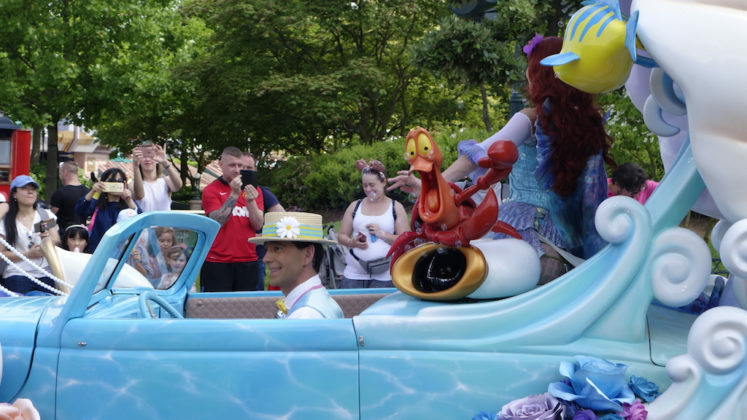 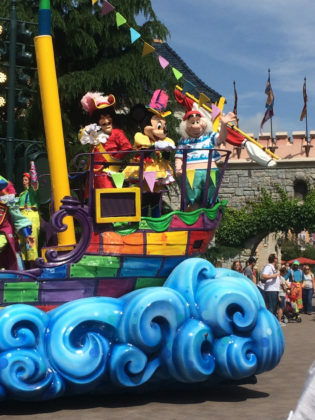 Yesterday was the final day of Disneyland Paris’ Festival of Pirates and Princesses at Parc Disneyland. 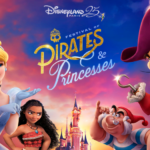 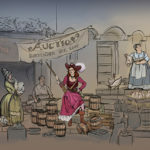 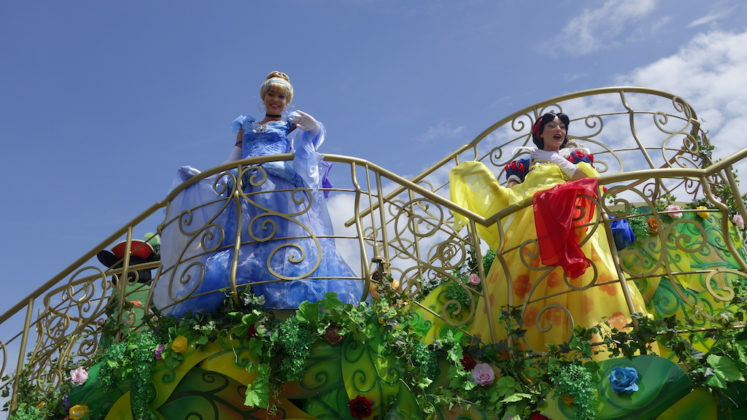 The Festival of Pirates and Princesses was one of the first new events hosted at the park since The Walt Disney Company took full ownership of the Resort. 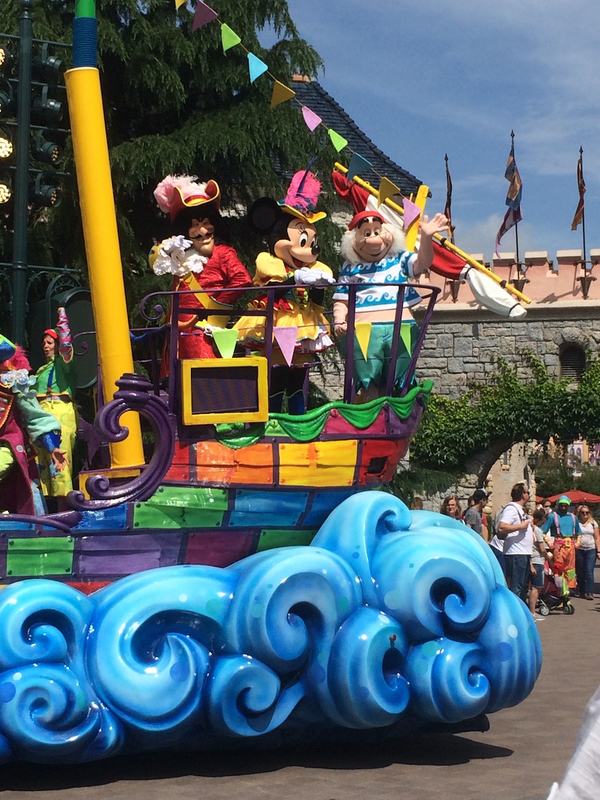 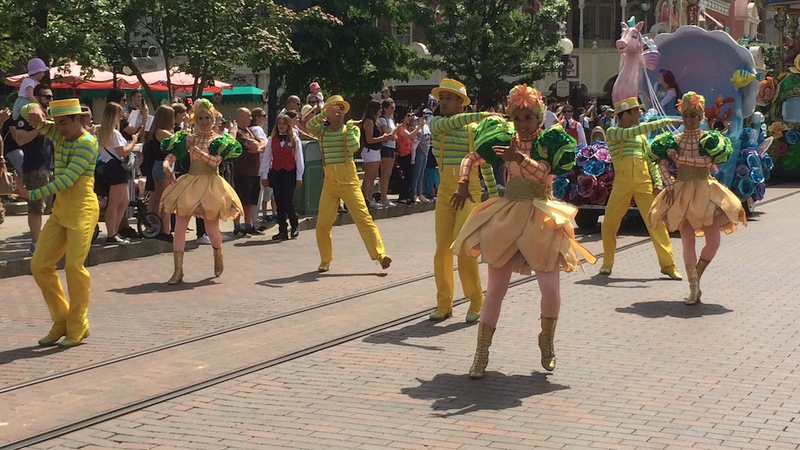 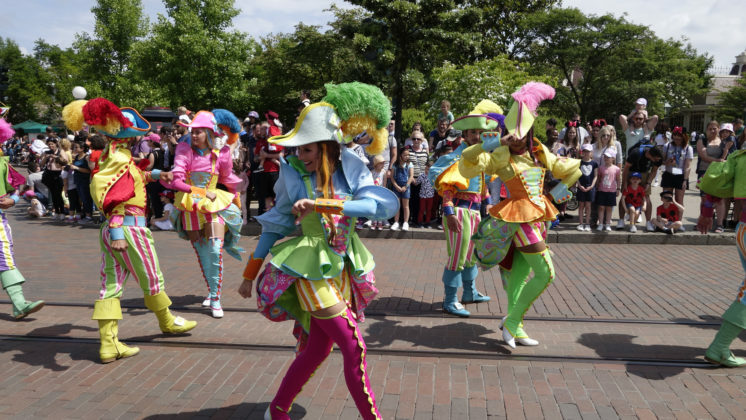 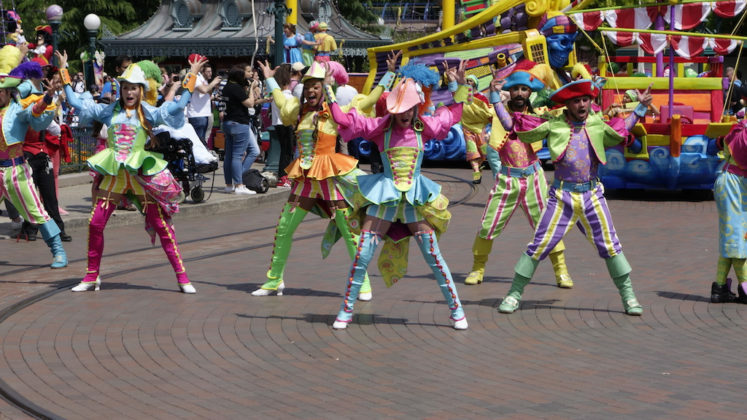 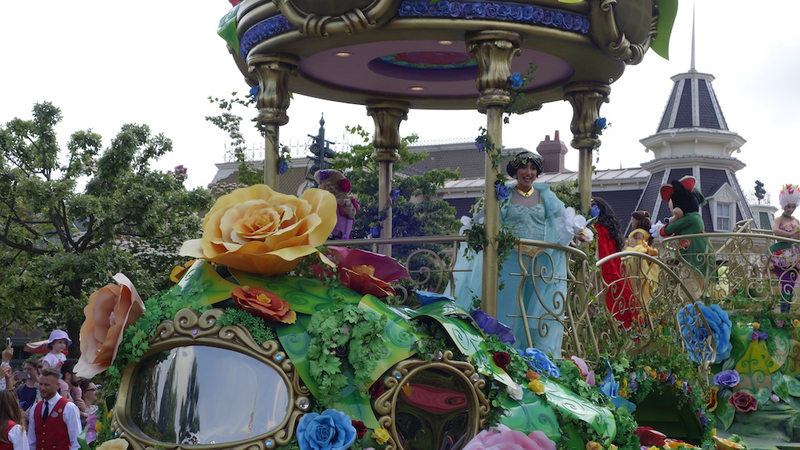 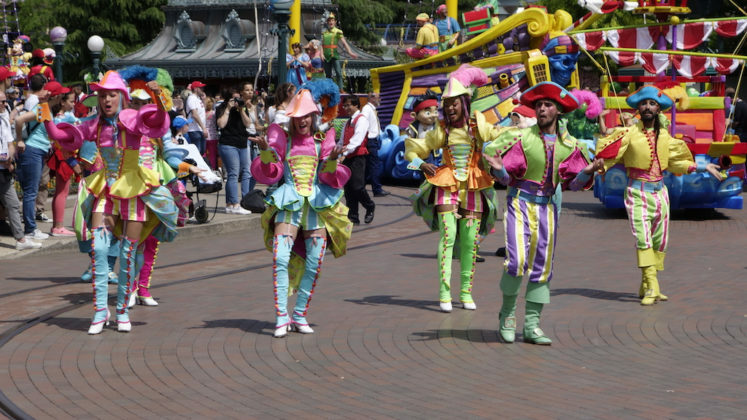 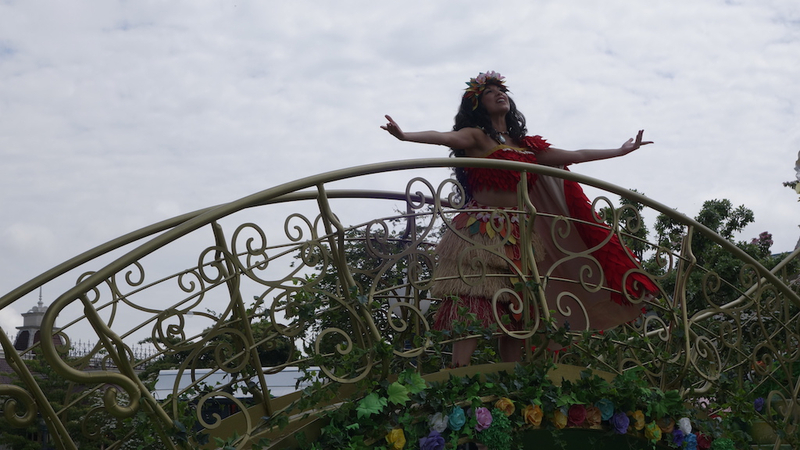 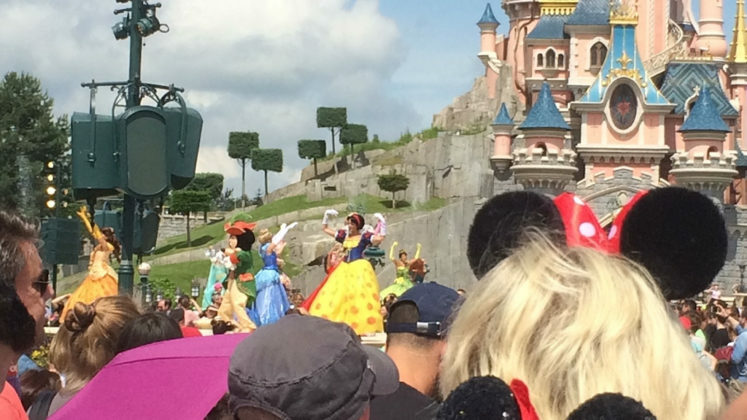 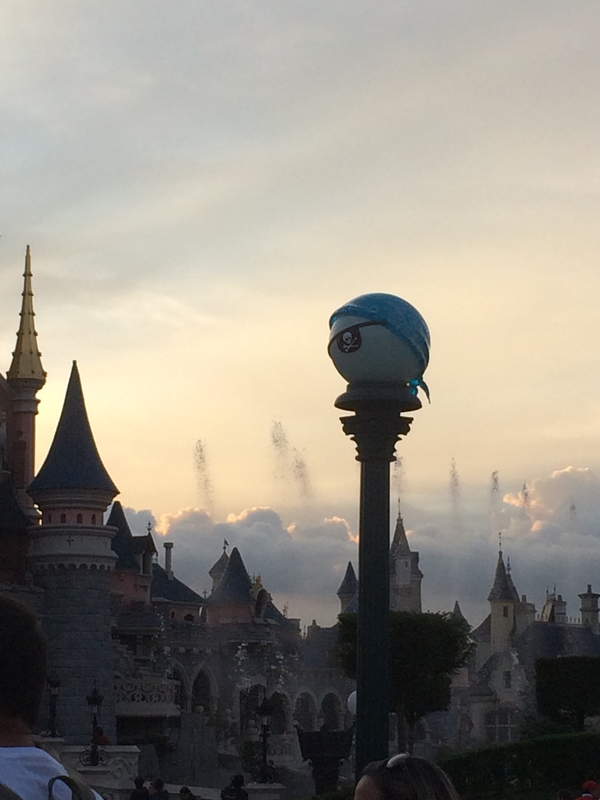 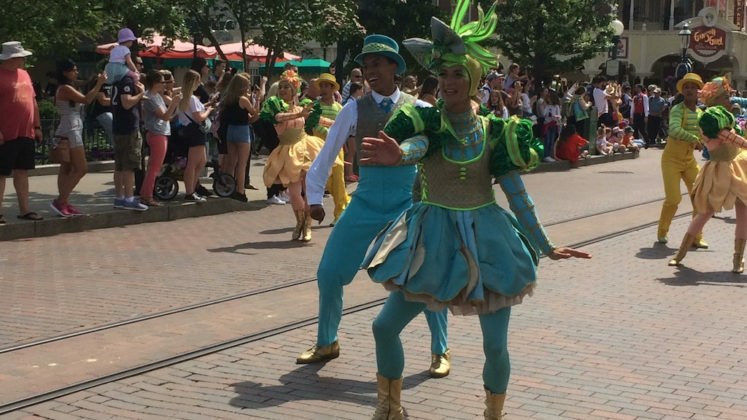 We managed to catch their special parade on its last day and wanted to share the magic with you. 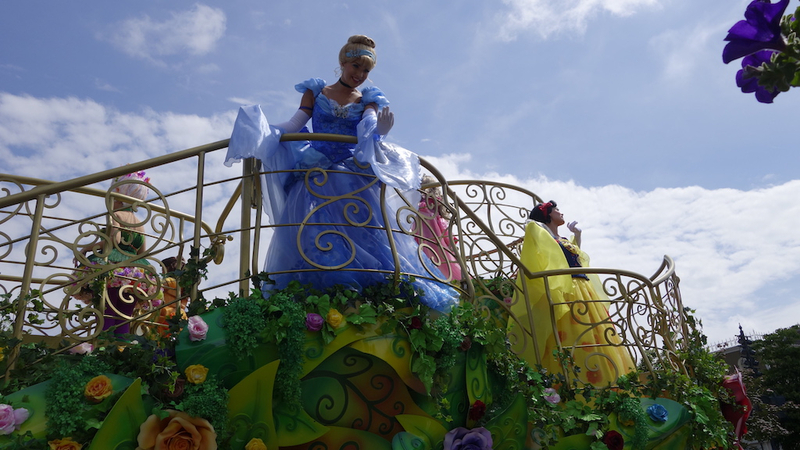 “I am a Princess. 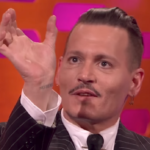 I am Pirate”. 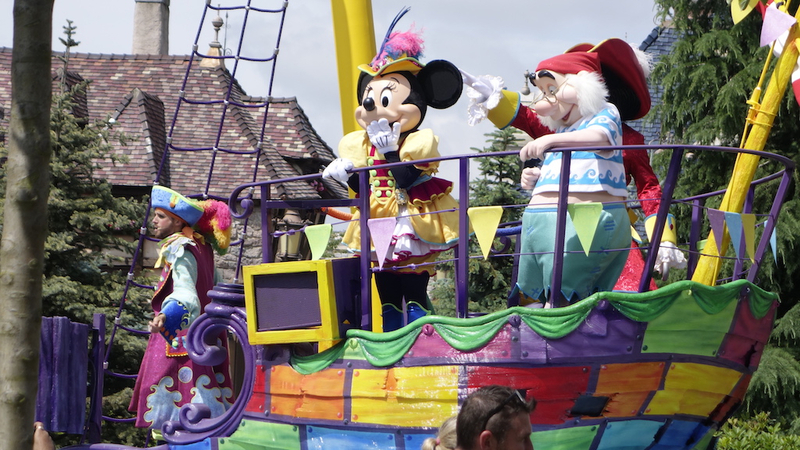 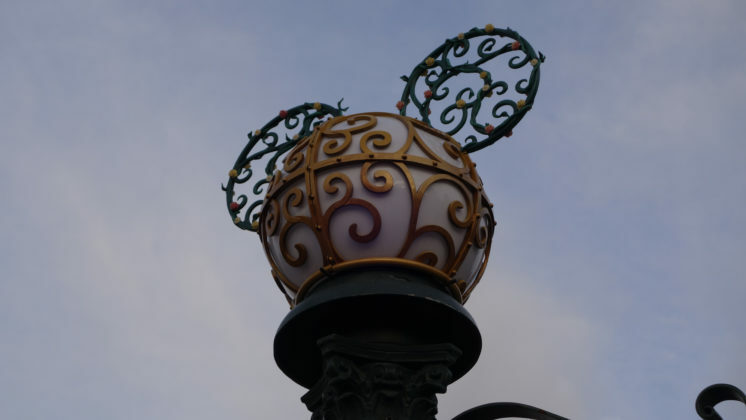 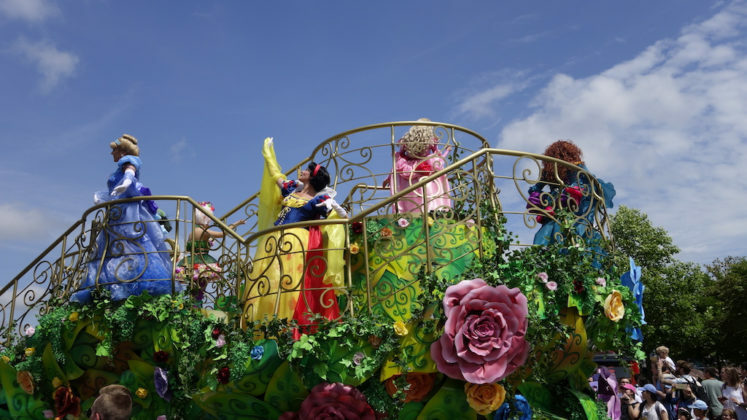 These are the statements that characters and fans alike make as the colorful parade floats wind their way through Parc Disneyland. 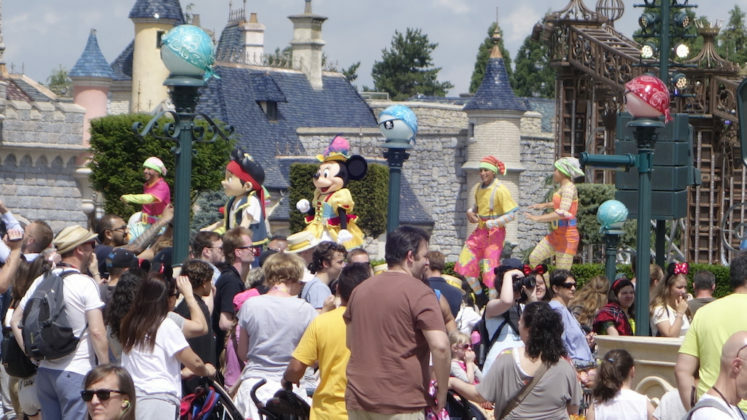 This unique parade started at two different locations and met in the middle at the Castle Hub. We found our spot between Tomorrowland and Fantasyland and watched as the Pirates headed out way from “it’s a small world.” Over on Main Street, the Princesses began their royal processional. 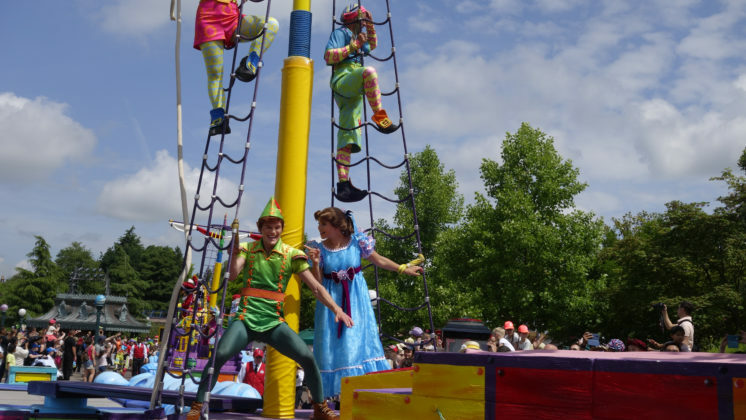 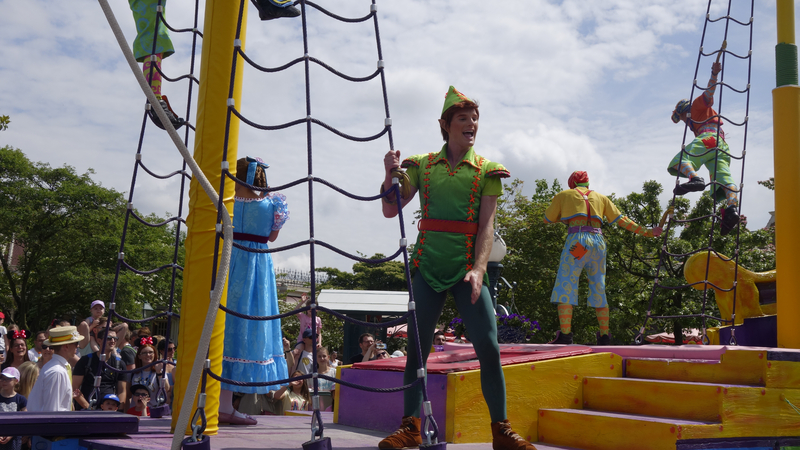 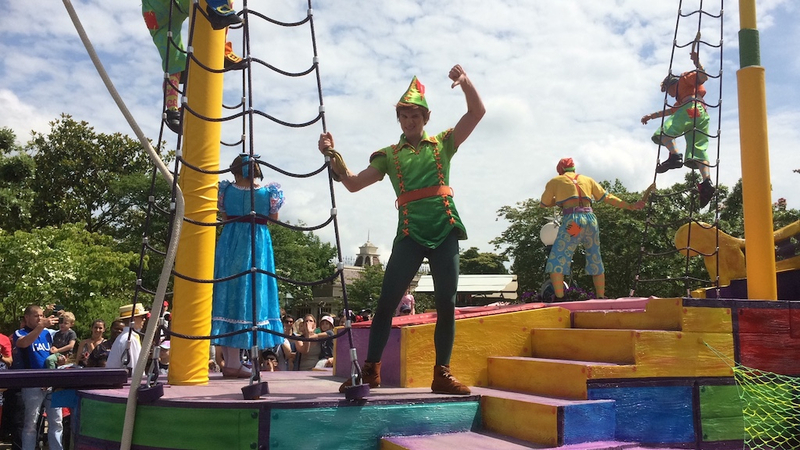 Of course we expected to see Jake from Jake and the Never Land Pirates, Captain Hook and Mr. Smee, but we were pleasantly surprised that Peter and Wendy were part of the show. The biggest surprise of all? 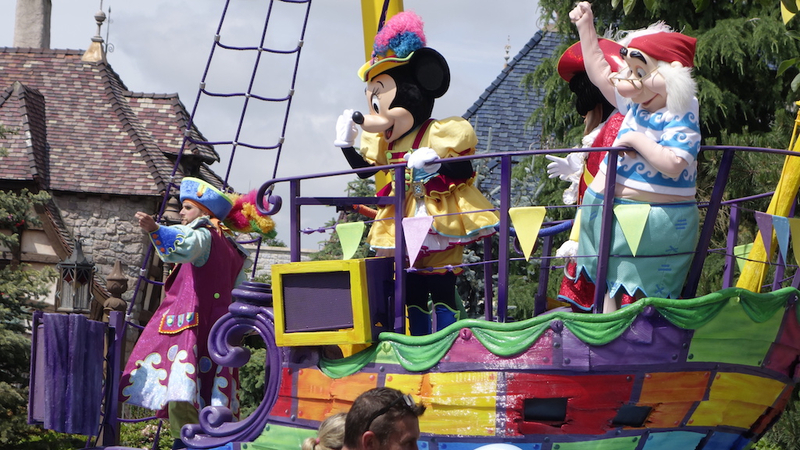 Minnie Mouse is Team Pirate. 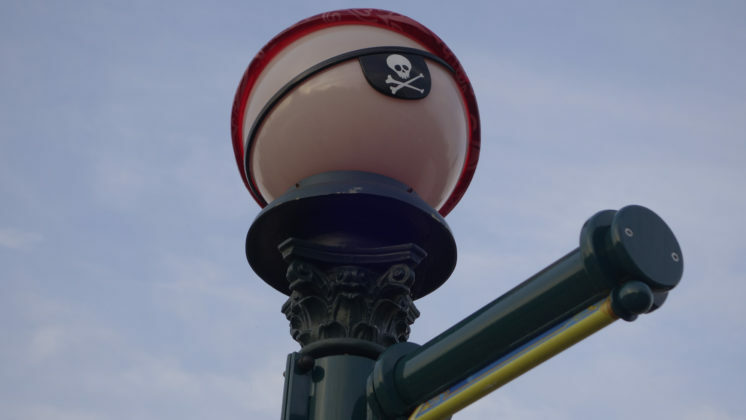 Aaarrr! Dressed in their royal best, Disney’s Princesses arrived as gracefully as you’d imagine. Joining the fun were Ariel, Jasmine, Rapunzel, Moana, Belle, Tiana, Cinderella, Snow White, Aurora, and Merida. 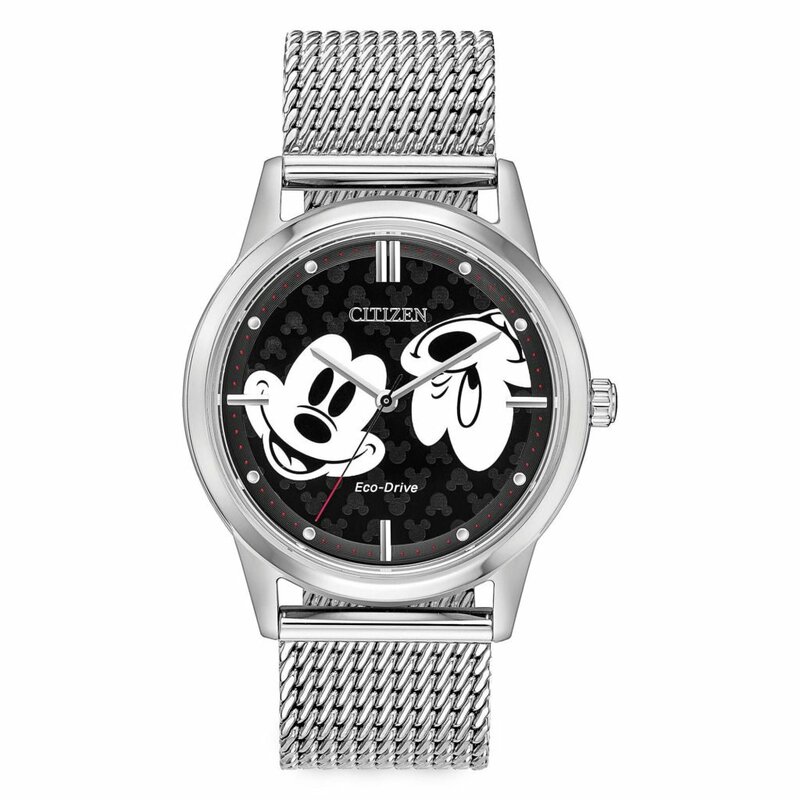 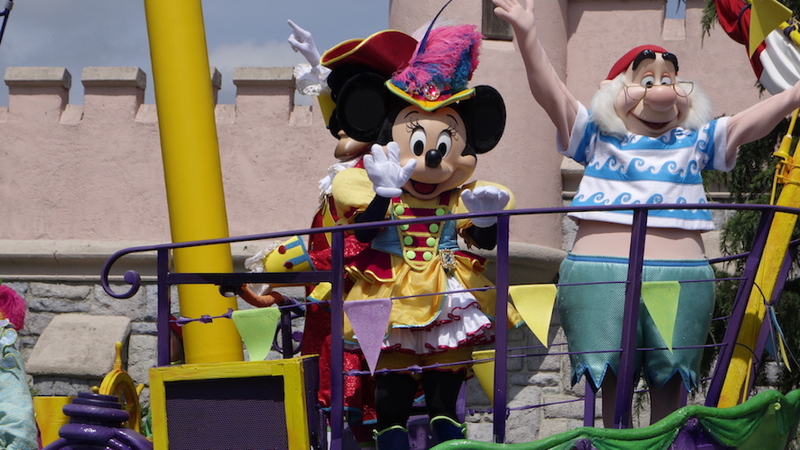 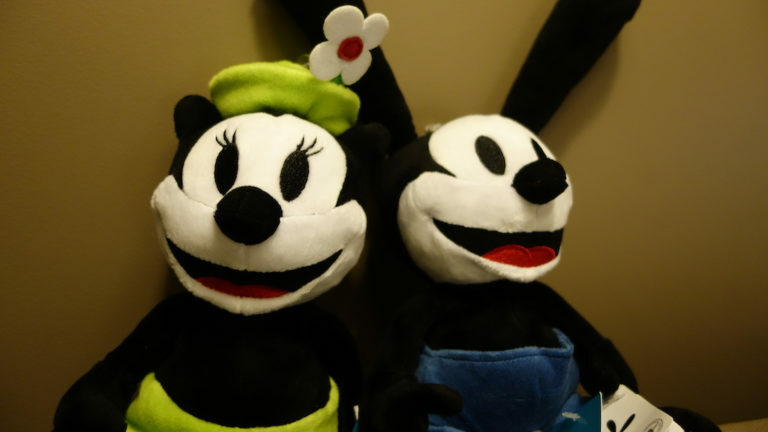 Since Minnie is Team Pirate, Mickey decided to be Team Princess! After all the excitement at the Hub it was time for the parade to end. The Princesses continued on their route and the Pirates made their way to Main Street led by their fantastic dancers. 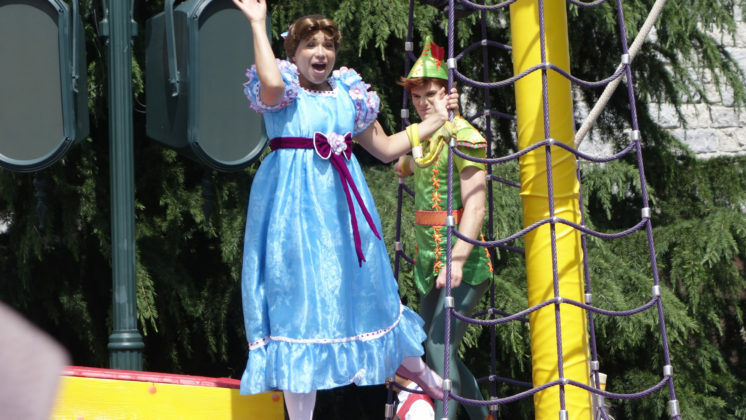 Peter is NOT a Princess! 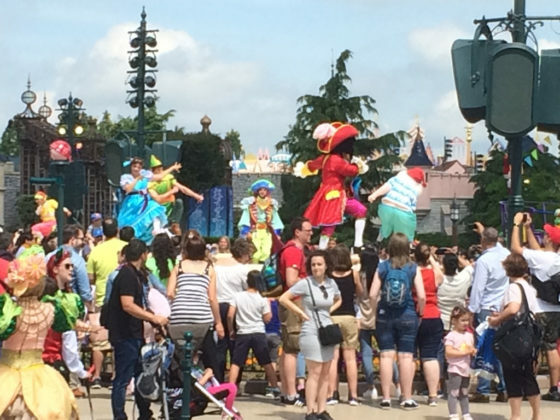 Late in the evening and before fireworks (around 9:30 pm), fans met at the Hub for a mini dance off to the theme song from the parade. 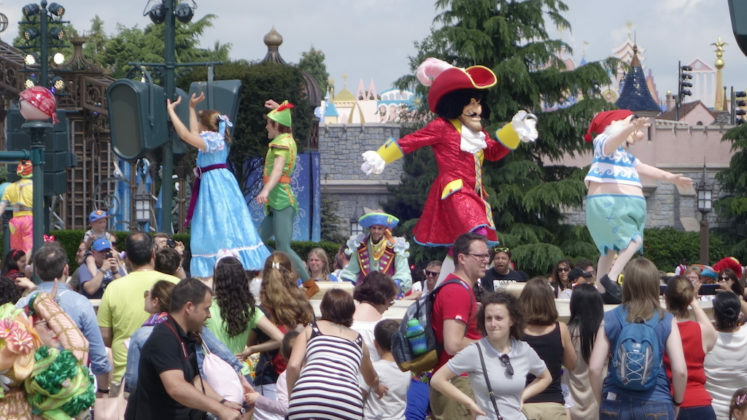 We’re not exactly sure how it worked, but our best guess was that any guest could join in as long a they chose a side. We also think this is something that happened every day as a way to bring a little more magic to the Festival. 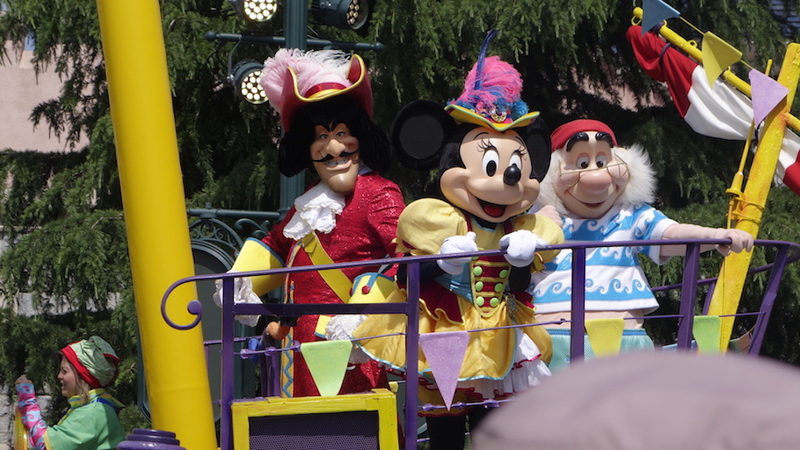 Some guest were even dressed in pirate costumes or dresses and tiaras.